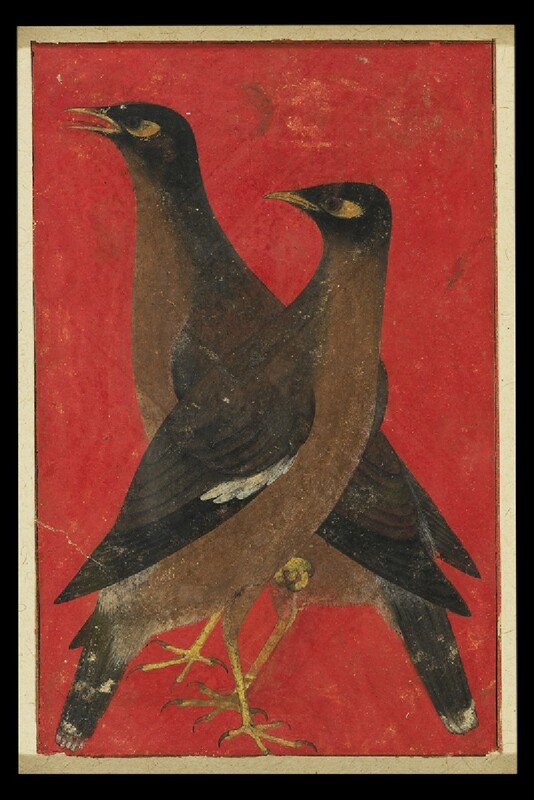 Two mynas (the Common or Indian Myna, Acridotheres tristis) stand silhouetted against a strong red ground. 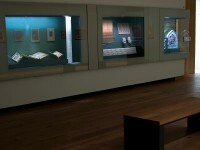 The Mughal artist captures well the mannerisms and natural inquisitiveness of the species. 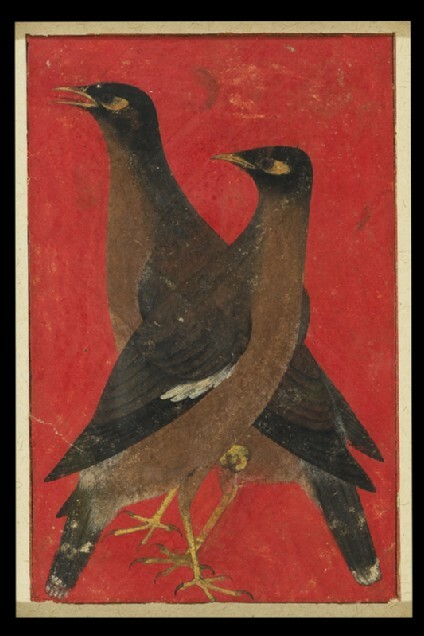 Often kept as cage birds, mynas were prized in India as elsewhere for their mimicry of the human voice and other sounds.